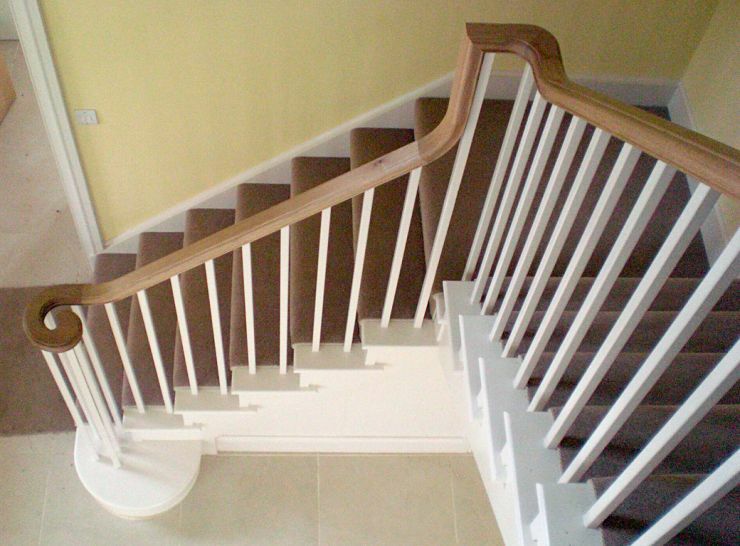 One Step Joinery has expert knowledge in the design and manufacture of all types of staircase, whether you're looking to replace your existing staircase, considering the installation of a new flight, or repositioning your current staircase. As a founder member of the British Woodworking Federation’s Staircase Scheme, our knowledge of current staircase regulations can help with issues around design, layout and construction. We also have thirty years of expertise in the design and manufacture of staircases; this means we can build your staircase from plans that your builder or architect has developed just as easily as working from a rough sketch. If you don’t know what you want, we're happy to arrange a visit to discuss your specific requirements and to take accurate measurements for the proposed staircase. Whether it's a staircase in your main hallway, a secondary flight, or a loft staircase, we can work with you to provide either a dramatic addition to your house, or to manufacture a purely functional, bespoke staircase. 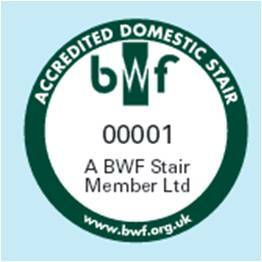 As a founder member of the BWF Stair Scheme, each staircase we manufacture will have a badge attached, similar to the one shown above, but showing One Step Joinery's membership number: 061111. Click the button below for further details about the scheme.